Made of superior HYPERFLEX polyurethane material. 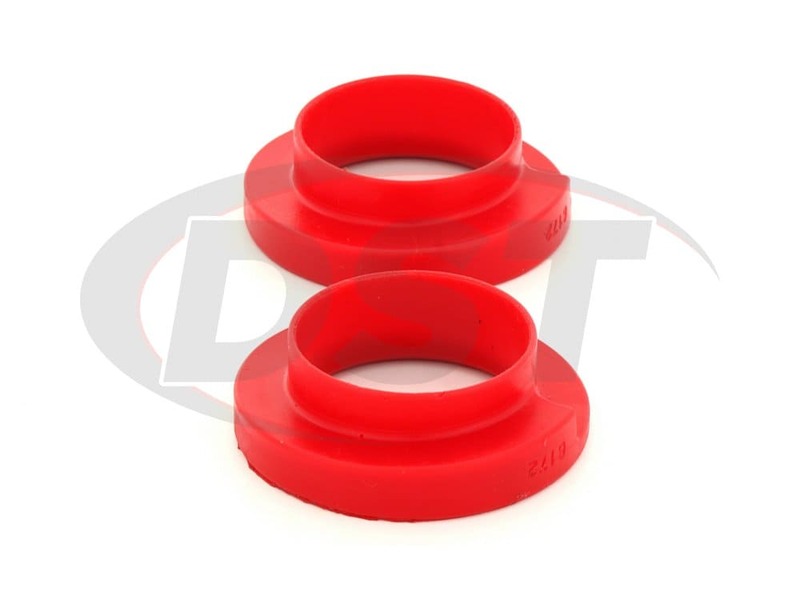 Saves replacing again and again lasting from 3 to 10 times longer than rubber isolators. Responsible for absorbing wheel motion and minimizing its effect on your ride, coil springs are probably one of the most recognizable components of your suspension. 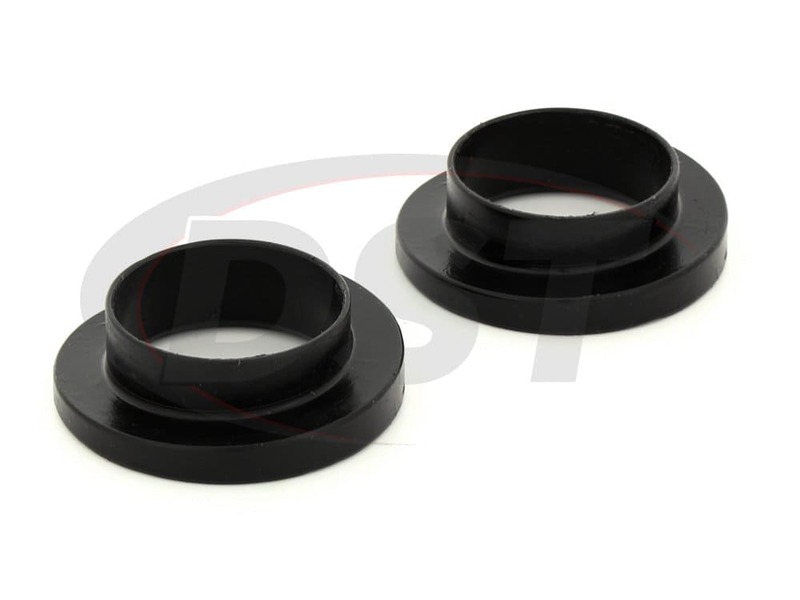 A less-easily recognized part are the coil spring isolators. Located at the top and bottom of each coil spring, these discs are what keep the harshest vibrations from being felt in the cab. 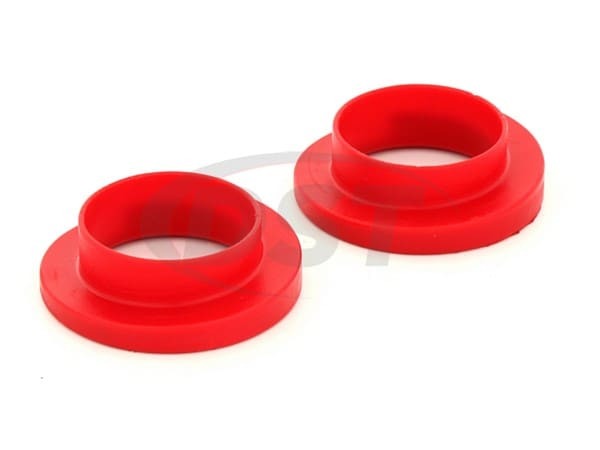 The OE isolators are normally made of rubber. Rubber isolators are good at reducing these vibrations, but they don't last long. Energy Suspension makes all of their coil spring isolators with Hyperflex polyurethane, a material much sturdier than rubber. 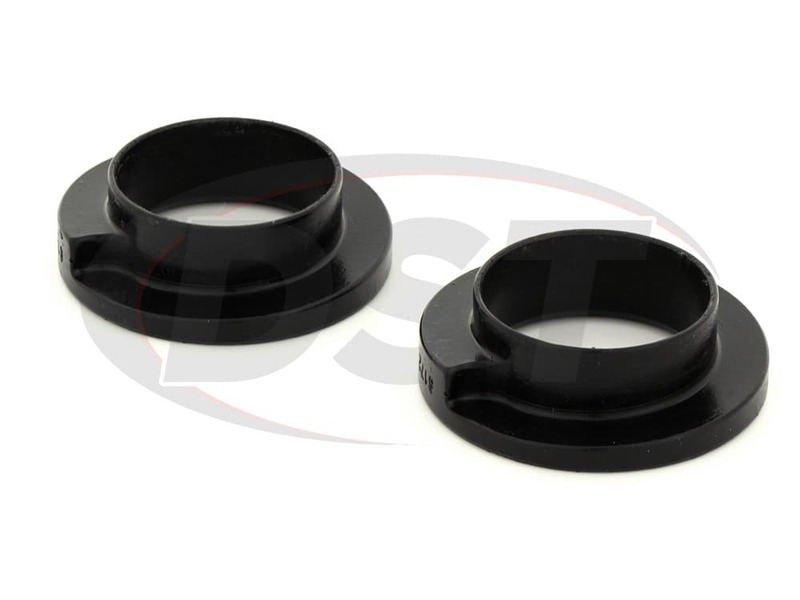 Entirely capable of shrugging off the repeated fluctuations of weight and pressure, Energy's coil spring isolators will hold up much longer than the OE did. This added longevity does come with a price, polyurethane is also firmer than rubber. This firmness does increase your NVH slightly, but most drivers agree that the phenomenally increased longevity of the part is well worth it. 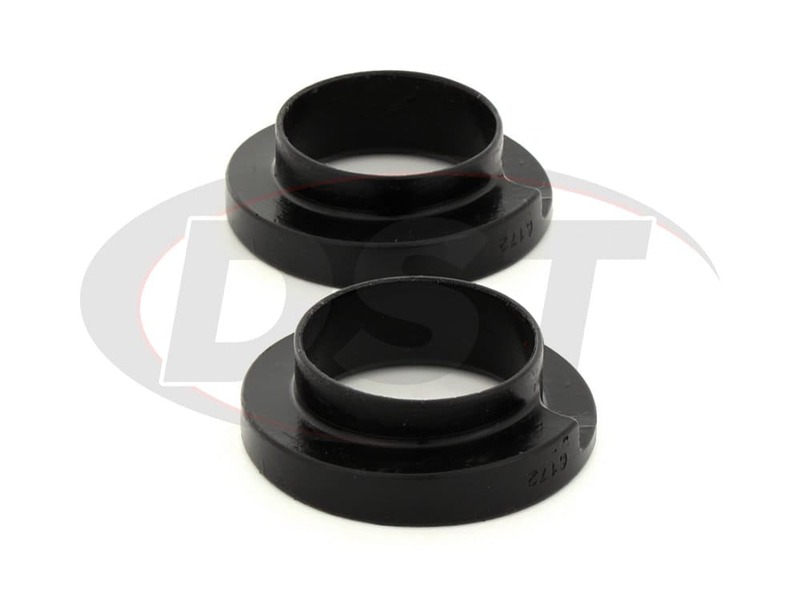 In addition, Energy Suspension covers all of their coil spring isolators with a two-year warranty handled in-house here at DST. starstarstarstarstar" Does it’s job "
Wasnt too sure about the sizing due to aftermarket lift on my 95 Bronco. Measured the spring diameters, inside and out, and parts fit like a glove. Ride is great now. starstarstarstar_borderstar_border" disappointed with explanation "
Product looks good and is well made. I followed the review on this site that said that these fit the rear springs on a Vanagon (1984). They do not. the inside diameter is too big and has to be forced into the spring and it wrinkles. I put it in for now but will have to look for another spring pad soon. The fit is not the fault of Energy Suspension. starstarstarstarstar" Fine and well made "
These fit nicely under the new springs replacing the original rubber which was not suitable for the new springs. The reason is that the originals are taper-ended and fit down in a matching groove while the replacements are full diameter to the very end. This results in excessive pressure on the original rubber where the spring diameter rides on the ridge of the groove. Save yourself double work by getting these before your spring replacement.